Hiring turnaround services can help fill valuable shortages in your crew. Construction is a business of deadlines, and sometimes work can seem to flood in with no real rhyme or reason. When the pressure is on, you need someone to step in and help provide a helping hand. Turnaround services fill important roles your crew may not be able to, either because of training or legal regulations. A turnaround service specializes in quick revamps of existing machinery and equipment. They are useful when a plant requires an upgrade, or when a facility needs to be maintained. 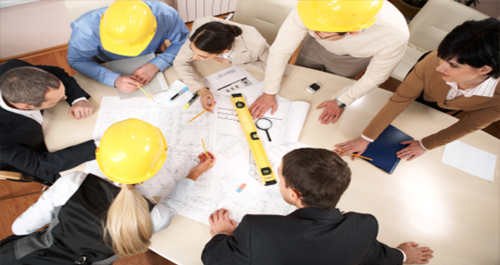 Normal construction crews are trained in very general practice, even if some of those jobs are extremely specific. Crews are adaptable, but there are some things best left to trained professionals who are licensed to perform something like shutting down a refinery safely. Another reason to hire the services of a turnaround specialist is to give your regular crew a break. Operating some of these refineries is challenging, adding to the workload of a crew already pressed for time. If that overworked crew makes a mistake, it’s on your hands. Any qualified construction claims consultants would advise against maintaining long hours while working with heavy machinery. Every effort is made to cut costs on a construction site, but not at the expense of safety or a job well done. Turnaround services have a place on the modern construction site, especially when the project involves a refinery, mill or chemical plant. Bio: Lyle Charles Consulting is a firm specializing in mediation of construction disputes, and turnaround services for construction projects.